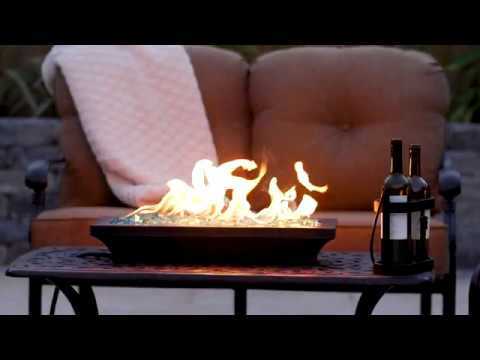 Lakeview Outdoor Designs Lavelle Table-Top Fire Features add a traditional touch to your outdoor living space or landscaping with the added benefit of warmth. This fire feature is constructed of commercial 304 grade stainless steel with an oil rubbed bronze finish, and features a match lit 304 grade linear burner for years of trouble free use. Add fire glass or lava rocks to match your decor to complete the look. Base measures 15 X 6.